It’s a coastal country that has already found a firm standing in the popularity charts of holiday makers particularly for the travelers of Europe and America. Much has been seen and talked of Croatia that boasts of shimmering beaches and sunny coastline perfect for sunning out holiday. What many miss out on exploring during their visits is the lush green and charming countryside of this travel destination. The landscape so typically Greek preserves its ancient traditional mode of functioning. Run into grape orchards or visit olive farms right as you drive inroad where ancient walls and stone shelters greet you along the way. An excellent site to go to particularly if you’re in a hurry to rush back is Split that is home to old walls that are remnants of the vast palace of Diocletian, the Roman emperor. Inside the walls there are many boutique hotels to stay at. Alternately you can go for the option of booking an apartment for short time. Nightlife in Split is equally attractive and the pine covered peninsula park is a wonderful sight. You can also visit the town Trogir from here to witness the preserved Venetian architecture that stands on a characteristically Roman town planning style. From Spit head out to Hvar island where there are more and excellently preserved Greek landscapes like the Stari Grad Plain. Toys are part of the Croatian handcrafts and the Hrvatsko Zagorje region is famous for its toyed wonders that are carved and decorated. Drive through to this region leaving the cool coastal breeze behind and enter a rural world of toys and color. Halt over at one of the many villages in this part and take time to spend an evening and participate in the local folk singing. There are also many souvenirs to take back and laces made in Pag and Hvar should be checked out! If you’d rather miss out on the country flavors and take a straight beach holiday then visiting Istria would be a better option. Though it’s located on the top end of Croatia it has shores that give you a great holiday experience. A short day trip to interiors is possible from this point. So you can hire a car or bikes and take off across narrow roads leading to villages and medieval towns. You may spot some fine dining restaurants on the way so it doesn’t have to be all that back-to-basics kind of trip. Relax when you can and try out cycling to different paths around Istria. The cycling paths are well marked and safe. When you’re hungry there are wild-boar croquettes and truffles to binge on. 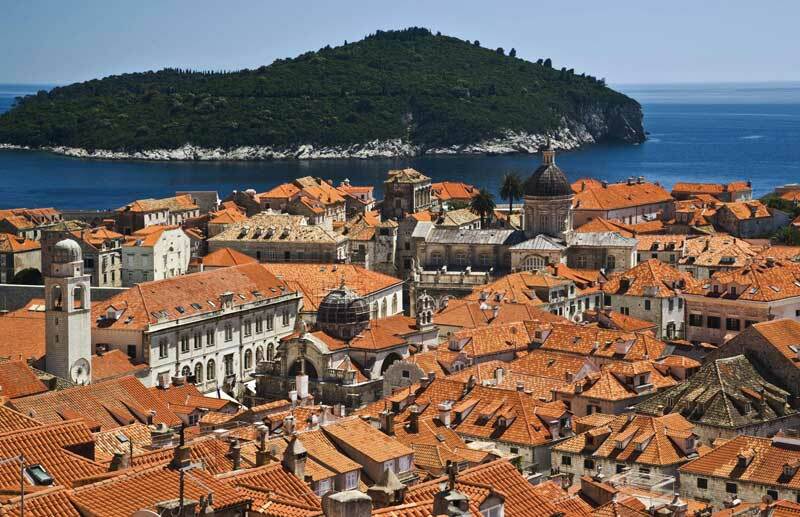 Romance is certainly in the air, in Croatia, with Dubrovnik offering a quaint urban warmth and comfort to the honeymooners. No wonders it is counted among top romantic destinations. Restored after it was pounded during Balkan war Durbrovnik still has the ancient ramparts running intact for miles. There are baroque and medieval treasures inside the town that is too narrow to let any car or bigger vehicle run through.